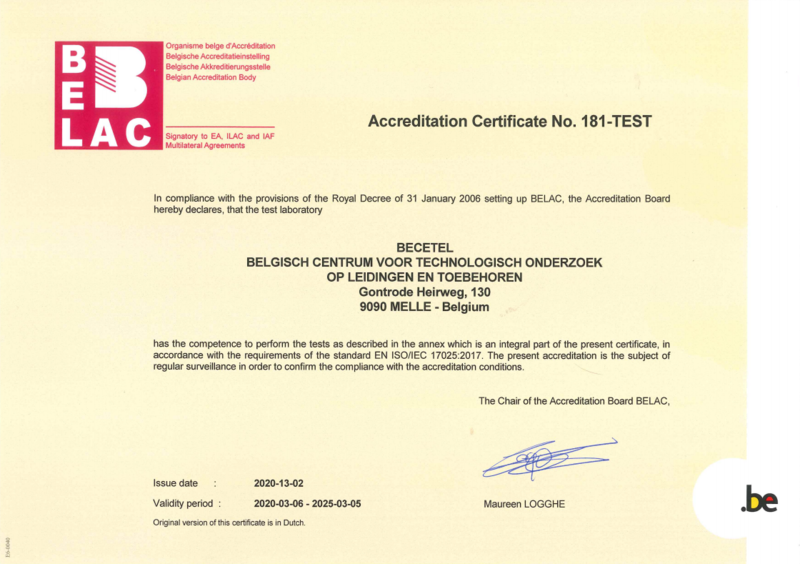 Becetel® is ISO 17025 certified by BELAC since 2002. The annual audit not only stimulates us to continuous improve our procedures and equipment but also to extent the test scope. The latest certificate and scope can be obtained from our download page.